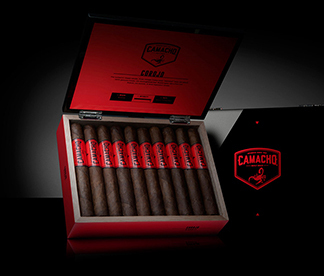 Camacho's Corojo cigars are handmade from 100% genuine Corojo leaf grown from vintage Cuban seed smuggled from the island in the 1960's. One of the most authentic Cubanesque smoking experiences one can enjoy legally in the U.S, the slowly aged tobaccos combine to offer a robust, smooth, rich, and spicy cigar with an amped up intensity revered among experienced aficionados for over a decade. With "Authentic" Corojo binder, filler, and fifth priming wrapper leaves grown in the Jamastran Valley of Honduras  a climate similar to that of Cuba's famed Vuelta Abajo region  the Camacho Corojo keeps alive the integrity and nostalgia of Cuba's Corojo tobacco.